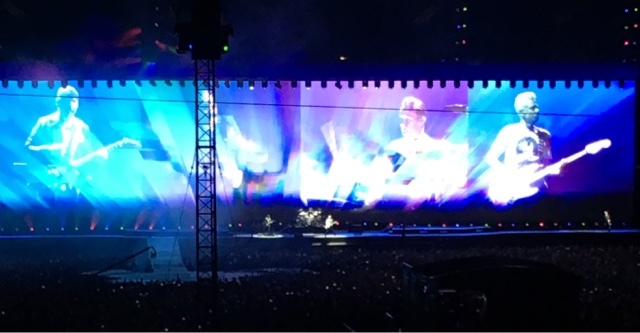 Since I was on the road last Sunday morning when last week's post went live, I'll give you a brief summery of why....we were Chicago-bound, to see U2 perform at Soldier Stadium! Is that a legit reason? We departed at 5:45 a.m. and arrived in the Windy City around 11:00. 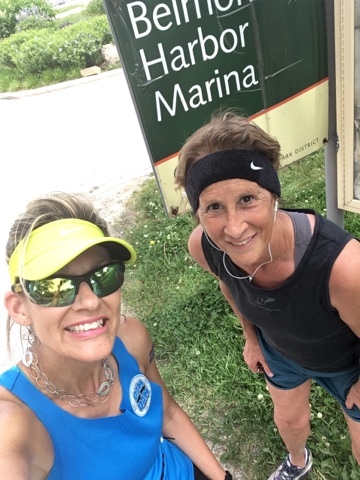 My friend, Linda, is also a runner, so we brought our running gear along and hit the lakefront upon our arrival. It was hot, but there was a nice breeze (go figure, this is Chicago!). Four miles later, we called it good. Four miles along Lakeshore Drive! Later that afternoon, after some amazing deep dish pizza, we boarded the train. 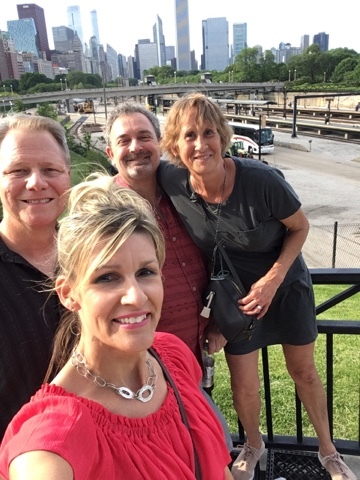 Upon arriving at the Roosevelt station, we had about a 1.5 mile walk to Soldier Stadium. The concert was amazing! I've been a fan of U2 forever. The first 45 minutes were a bit of a let-down, though, because they were on a smaller, auxiliary stage with spotlights (and no big-screen coverage). Eventually, they moved to the main stage and then all was good. Bono got on his political soap box a few times, which is not what we paid to see or hear...but, again, the music and lights and overall experience was phenomenal. These four guys have been together 40+ years and can still rock an arena. We didn't get back to our B&B place until well after midnight, and we did so much walking (not necessarily in proper shoes LOL), that I elected to NOT set my alarm for Monday morning (though I still woke up around 6:30). Linda and I headed out for one last Chicago run. How about a Warrior-2 for a cool down? Back to life, back to reality. Tuesday had me working a very long day at the office. That's what happens when you take a day off...especially a Monday, no less. 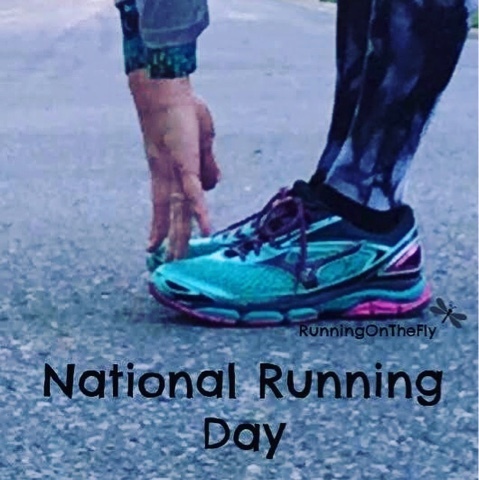 Did you know Wednesday was National Running Day (also called Global Running Day)? I usually do my training runs on Mondays and Thursdays, but since Wednesday was THE big day to celebrate all things running, I elected to lace up the shoes a day early. I met my friend, Barb, at our usual spot and we knocked out another #5at5. 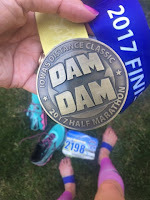 I could tell my body was still in recovery...from the Dam to Dam half marathon on Saturday, the long day on Sunday (with running and lots of walking), the "morning after" 5-miler on Monday, and the long work day on Tuesday). The miles didn't necessarily feel slow, but my hamstrings and hips were not as enthusiastic as their owner to be out pounding the pavement in the early hours. Not a lot of action for this gal on Thursday. I knew my body needed some recovery time, and I obliged. Friday was another day of low-key activity. In case you haven't noticed, I take my recovery time seriously! 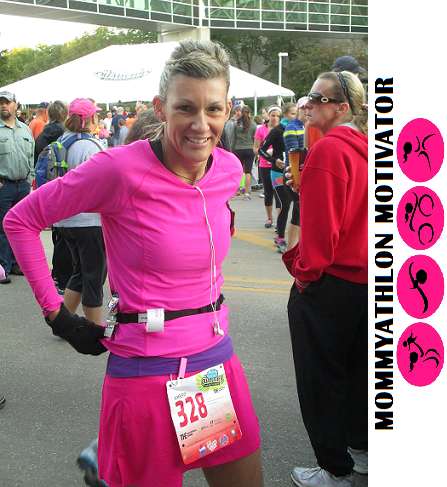 Let's not forget, I'm also in the midst of tapering for Grandma's Marathon...now is NOT the time to be overly active and risk injury. My #FridayFashionFlair (check out the new hashtag!) was very well-received. Did you see it? 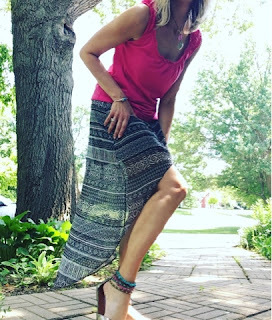 I invite YOU to play along...every Friday, I post a pic of my outfit on Instagram (HERE), and I'd LOVE to see what you're wearing! Post a pic of your outfit and tag me! We were due for some warm temps this weekend. On Saturday, Barb and I met up at 5:00 (yes, even on the weekend we rise and shine in the wee hours) for our final long run before the marathon. We did a #10at5 (do you like what I did there? ), and it was a bit of a challenge for me. Ten miles usually are not a big deal, but my body is still a bit in recovery mode, and I felt like the final 3-4 miles were tough. The hammies were achy and the hips started to feel strained. The temps were warm (in the 70's), but the humidity wasn't too bad and there was a strong breeze. UGH. Maybe the "taper crazies" are getting to me? 10 miles! My last long run before the Grandma's Marathon start line! With even warmer temps in the forecast for Sunday (and a lot more humidity), I was careful to get out fairly early for my recovery run. Thankfully, all of achy body parts no longer felt achy, and the two miles in the sunshine were a great wrap-up to the week. I probably could have run longer, but knew it was the wise decision to stop. 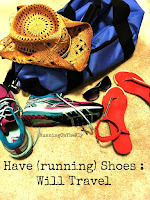 I have six days until the marathon...so this next week will be all about rest, hydration, and carbo-loading. Yes, it was a sweat fest! So, that's my week! My mileage (Sunday - Sunday) came in at 26 miles in the running shoes. I felt like I spent the entire week playing catch-up with everything (with work and especially with social media) since I was out of commission for most of Sunday and Monday. 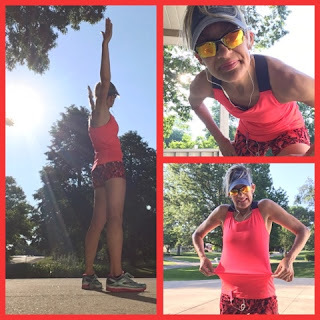 I have been doing my daily yoga challenge poses (June goals), and foam-rolling before and after my runs. I've also been keeping up with my daily planking (I just don't post much about it because it's part of my usual routine). There's been some strength training in the mix, but I have scaled that back a bit in recent weeks to coincide with my taper. And, how a bout a recent pic of my little guy, Max? 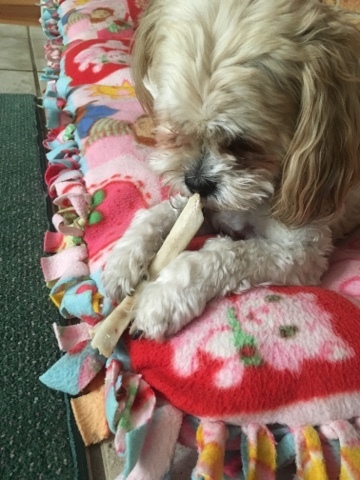 We don't give him bones very often, but when we do...he is in total heaven. Doesn't he look like a little puppy? How was YOUR week? 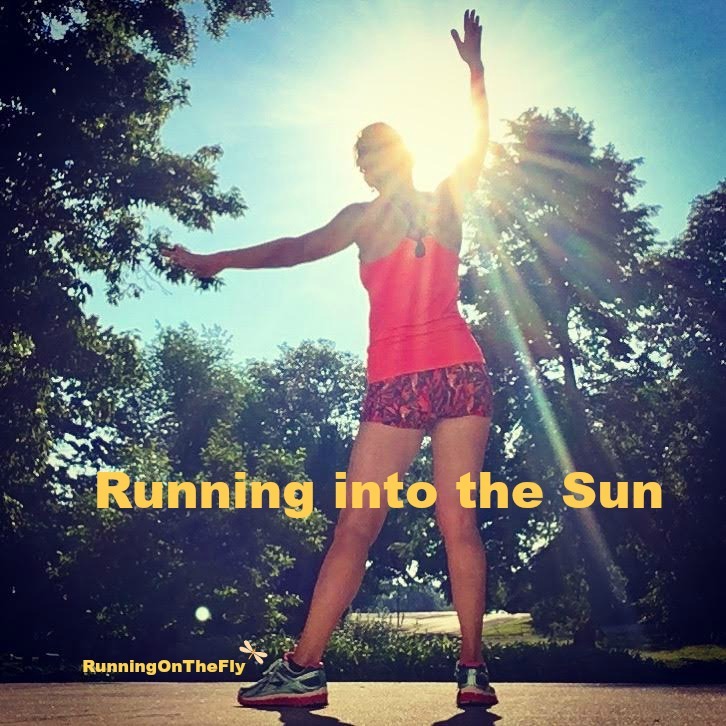 Training for a summer or fall race? Plenty of sunshine in your location? Ever take a day (or two) off from work (and/or social media) and spent the next several days finding your way back out of the "catch-up" abyss? 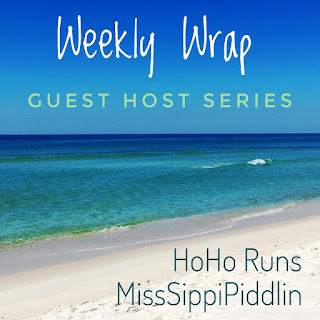 I'm linking up with Kimberly (on behalf of Holly and Tricia) for the Weekly Wrap. Please join us! Sounds like a very fun week. It is great to see bands that have been together for so long, you never know when they will stop touring. We saw Rush on their final tour and it was amazing how great they were! I take breaks all the time social media, but I try to keep up so I know what everyone has going on. Enjoy this week. I hope you get nice weather marathon day! The heat is on, that's for sure! The U2 concert sounds like it was fun. I have so much respect for bands that can still rock after so many years together. 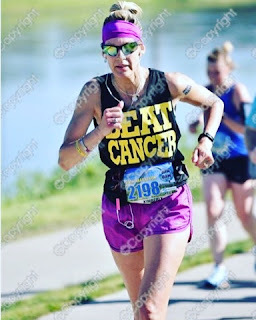 I think you should buy your race photo from last week's 1/2 marathon! U2 was pretty amazing! Even though we couldn't see much for the first part, we still could hear them at least. I would loved to have seen U2! Seriously, Kim, were you really surprised Bono got political? I guess it's his party and he can cry if he wants to, right? I've been enjoying the warmer weather too! 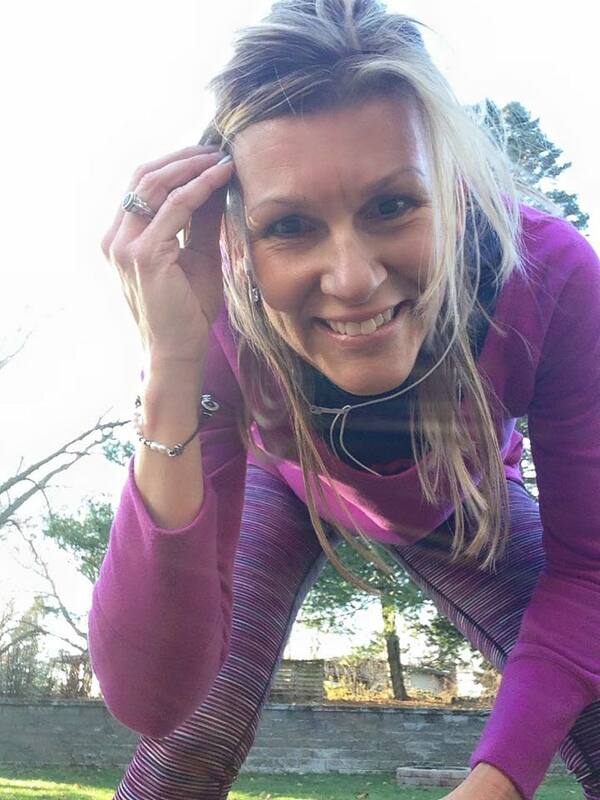 Its tough to catch up after a break from social media- even a day or two off makes me feel like I fall so behind! Weekend trips are fun, but then there is the struggle to make up for them! Love your race pic and U2! Wow! 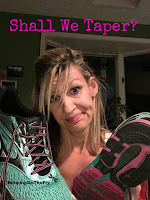 Don't let the taper get to you - you've got this! The struggle to make up for all that lost time is SO real! I got everything caught up at work by end of day Wednesday...but the blogging stuff took all week (and there are still a lot posts I didn't get to to...). UGH. I saw U2 my freshman year of college - still goes down as one of the best shows ever! Pretty amazing that they're still touring! Sounds like a fun trip! Good luck with your taper! You're ready for Grandma's! I like playing along with your fashion Friday posts! I'll remember to use your new hashtag! I have not been to Chicago in years! I bet that concert was amazing. Loving your Friday fashion pics. If I ever wear anything other than workout clothes I will play along too. have a great week! You can post your workout clothes to the post! One time I posted a pic of me in my casual travel clothes...because that's what I was wearing LOL I think another time, I posted a pic of Thursday's outfit because my Friday outfit was a fail. Oh well! What a shame that our time in Chicago didn't coincide... Running one the Lakefront Trail never gets old and I'm going to miss that view while running back in Virginia this week. Yes, the Lakefront Trail is beautiful! The heat has started here and I'm loving it! I would love to see U2 in concert, what a great time! I really enjoyed your Chicago pictures. I've never been, but I feel like I "know" so many people there now I must visit some day. 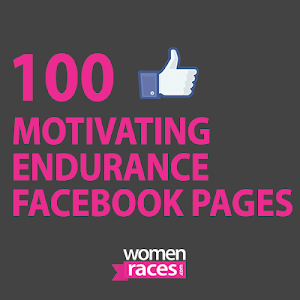 I love your race photo! I had good ones from Rock 'n' Roll too, but they're so expensive! Especially considering they just send you a digital copy. Anyway, great taper week! Agreed, the race pic prices are outrageous! Nice job on all of the miles. Sounds like the concert was a blast - I love U2. It's heating up big time here in Virginia, just as I'm supposed to start training for Marine Corps Marathon. 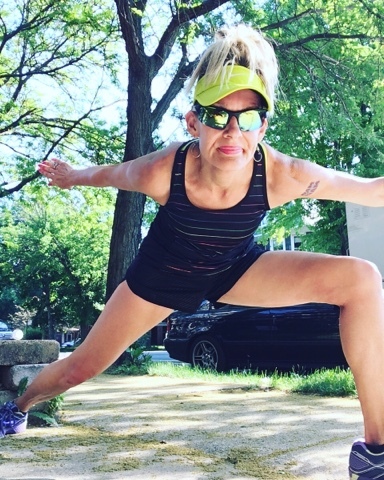 This week is all about adapting to the heat, rather than any mileage or speed goals. Sometimes you gotta unplug & live your life! Sounds like you had an amazing week. Hope all the various body parts calm down for Grandmas! I agree...sometimes the social media needs to be set aside. Good luck resting before Grandma's!! Chicago is a pretty amazing city! Yeahhhh Grandma's Marathon!!!! Good luck and enjoy your time in Minnesota! I'm all Minnesotan... but from the way northern parts, otherwise I would say we should meet up :) And I would love to see U2! I became a fan of them in highschool and still enjoy them. 40+ years is an amazing amount of time for a band to stick together. It's rare for a band to stay together that long...without any turnovers in band members. And these guys all look pretty good, considering their profession and all the "side effects" that tend to go along with it. 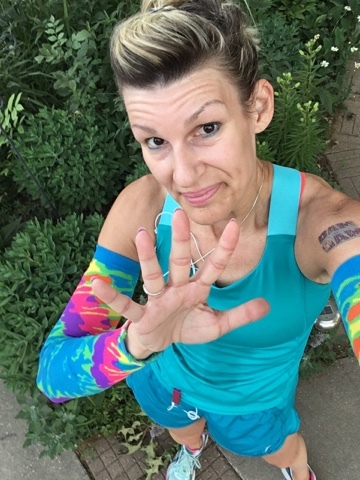 I have a 5k coming up next month and nothing until December so far! Looks like you had a great week! I hope you have a great race at Grandmas! Can't wait to hear all about it! 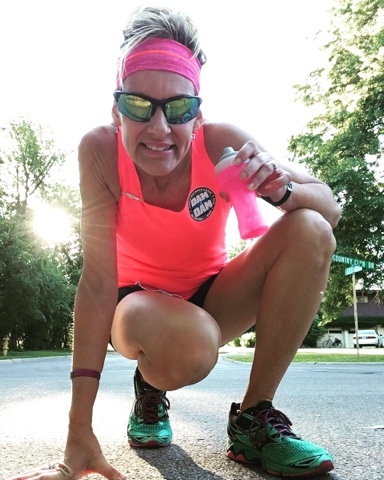 Great week of miles even in the midst of taper town Kim! Now that U2 concert sounds awesome....I've always been a big fan myself! Glad you guys had the opportunity to see them AND a trip to Chicago ...even better! Good luck next weekend! Is the marathon on Saturday or Sunday? What will the temps be on race day? I'm a long long time fan of U2. Back to the days of their first albums War, October and Boy. Love the energy of this post. Have a beautiful day Kimberly! It's been oppressively hot, and also rainy. Boo. I do prefer the cold, but I don't think our temps ever get quite as low as yours. The heat and humidity over 8-10 months can really wear on a runner, but we do what we can do. Everyone was raving about the U2 concert! I saw them once in Miami maybe 12-13 years ago and it was a great show. So glad you had fun! How awesome you got to see U2! I saw them years ago and it was amazing. I'm with you on the heat -- I'd rather run hot and sweaty than cold and blustery any day of the week. BRING ON SUMMER!!!! I too prefer being hot over cold, but there comes a point when its just too hot to run. I learned that the hard way during my run last night. It was 92 when I headed out for my run, and even with running at a slower pace and taking more frequent walk breaks I got way too hot and had to cut my run short. It's great that you had the sense to call it quits...safety always trumps ego, right? ;-) I have had some runs, as well, that I had to end early for the same reason. As much as I love the heat, I know it's not the ideal setting for cardio. Great job this week! I love your Friday outfit, too...it's beautiful! Glad you guys had fun at the concert! I prefer the cold over the heat- but then again I live in the mother of all humid states, Florida. I would love it if it were 70 degrees when I run but it's already in the 80-90s right now! I can't imagine what the runs will feel like next month. What an awesome week! A trip to the city, concert, running...and you looked absolutely gorgeous, to boot! I love summer. As for outdoor exercise, I stick to early mornings and that works well for me. Here in NC it's hot and humid most days in the summer. This is yet another week of your impressive results! Excellent job!